Hope everyone is enjoying their lovely Easter holiday! I, for one, am eating way too much but what’s life without a little indulgence? 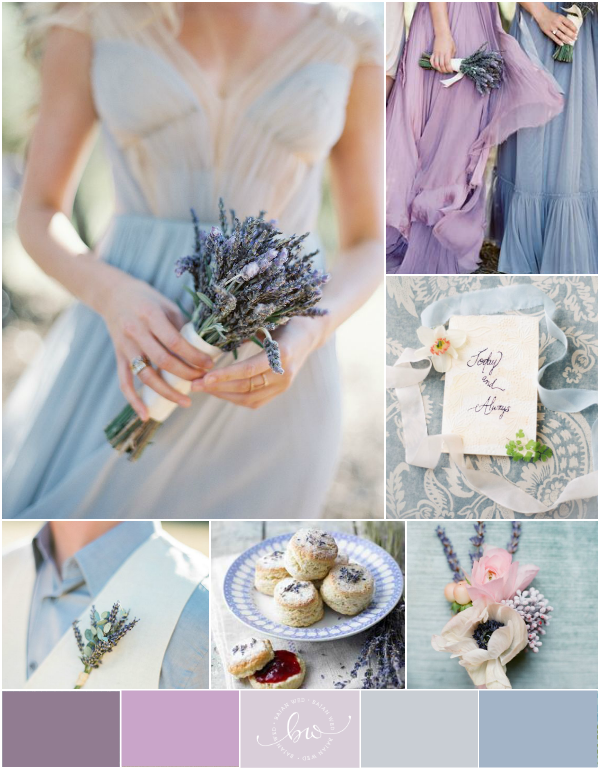 Speaking of indulgences, I was in the mood for a very romantic palette and today’s lavender, dusty blue and lilac board definitely makes my heart sing! I think this is such a pretty colour combination for a rustic, outdoor wedding. I really love lavender-infused wedding details and in my research on the flower, I discovered that Lavandula dentata or French Lavender grows quite well in Hawaii which is quite interesting because I had no idea it could be grown in the tropics! Luckily, even if you can’t get your hands on fresh lavender, dried lavender is quite easy to access and can be used for everything from bouquets to centerpieces to favors! Can we say OBSESSED?! I adore this color palette, this palette is quickly becoming one of my favorites. Gorgeous inspiration as always! So dreamy and romantic!! Lavender is one of my favorite colors. So beautiful, and the perfect tribute to the spring season! Lavender is such a wonderful color and scent, and I love how you’ve tempered it with some dusty blue. What an absolutely beautiful inspiration board! Perfect for Easter. 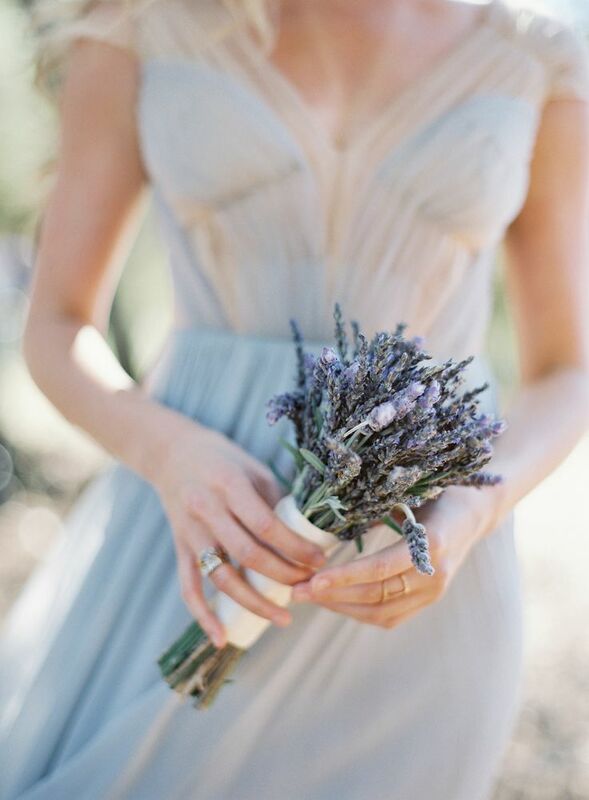 These french lavender flowers are so pretty and can be incorporated beautifully throughout any wedding. Such a gorgeous inspiration board!